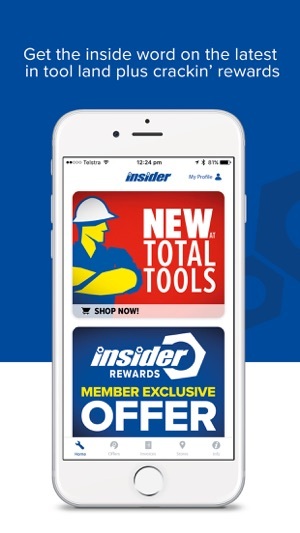 With Insider Rewards we’ll hook you up with perks and crackin’ rewards just for getting the stuff you want at Total Tools. 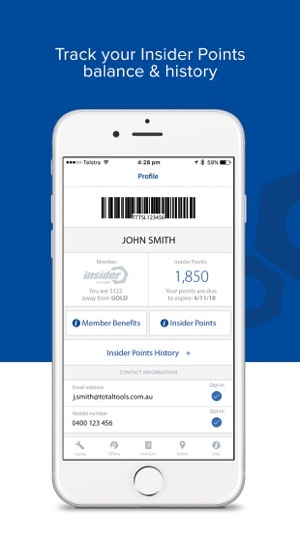 Download the Insider Rewards app today to see the latest products, track your Insider Points balance and access your invoice history all from the palm of your hand! Offers: Check out all the latest member exclusive deals, bonus point offers plus redeem your Insider Points on a range of great products from the practical to the must haves for every man-cave. News: Get the inside word on what’s happening in tool land straight to your phone including catalogues, new product info, competitions and redemption offers. 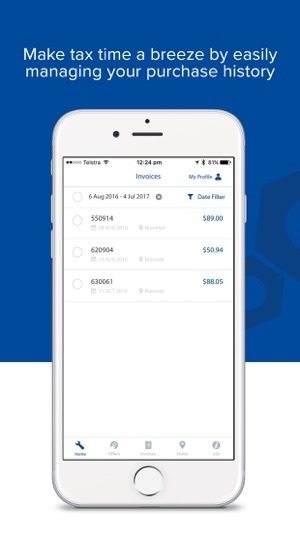 Invoices: Store, view, filter and email all your invoices directly from your app to keep track of your expenses and easily organise your receipts for the tax man. 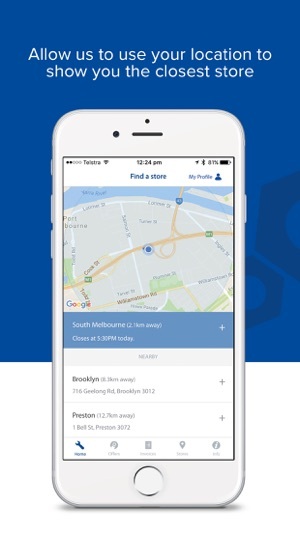 Stores: Find a Total Tools store wherever you are in the country based on your current location or your next job site; including directions, phone number and trading hours. Not an Insider Rewards member? You can join the Insider Rewards program within the app. It’s free and only takes a few minutes to sign-up. Minor enhancement and performance improvements. In “my profile” section you have a insider rewards points history. This doesn’t not work. Please fix it. If you could show how far off The user is from reaching the next tier. I’m a gold member and it says I need to spend $2500 to stay gold, but it doesn’t tell me when I reach that $2500 dollar mark. Instead of points. Why not just show how much money you have earned, I constantly have to calculate how much money I have. Support for iPhone X would be nice too, the app is very small. And be able to buy things inside the app instead of going online. Every time I log in I have to opt in my phone number again and again, which has led to me missing a nearly $500 Invoice and missing out on those inside dollars not to mention I have no Invoice for tax purposes. Order was placed online for in store pickup and I was not given Invoice when I picked it up, no big deal it’ll be on the app...except it’s not because it opted me out all by itself, terrible app. In “my profile” I can’t update my address.